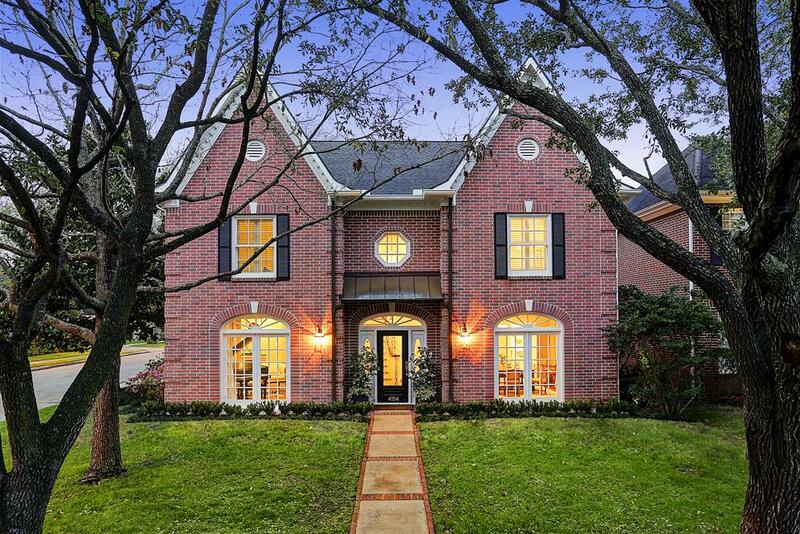 Stunning West University home that has been recently renovated on a 6,350 SqFt corner lot. 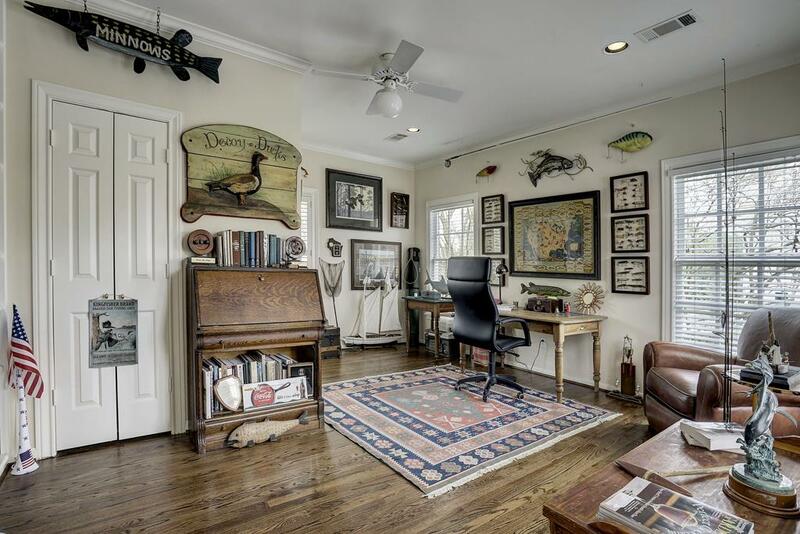 Walking distance to Whole Foods, Colonial Park, West U Rec Center, cafe s and shopping. 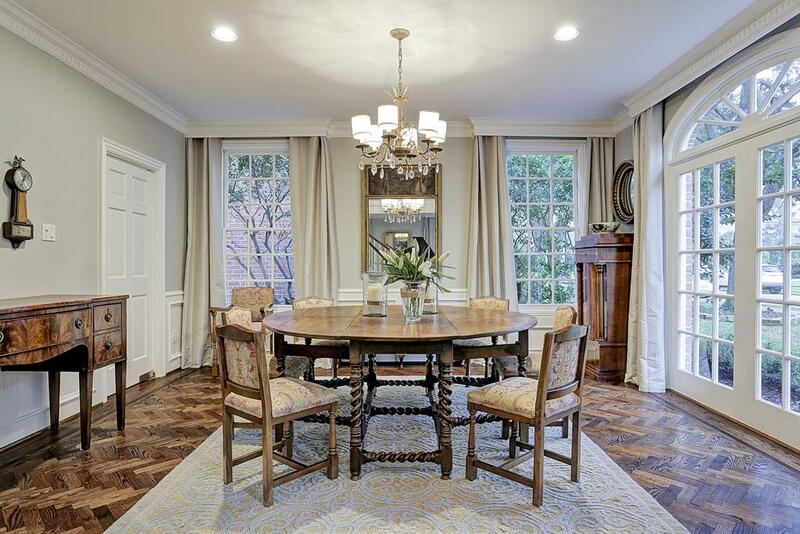 Formal dining with herringbone hardwood floors and walls of windows looking onto front gardens. 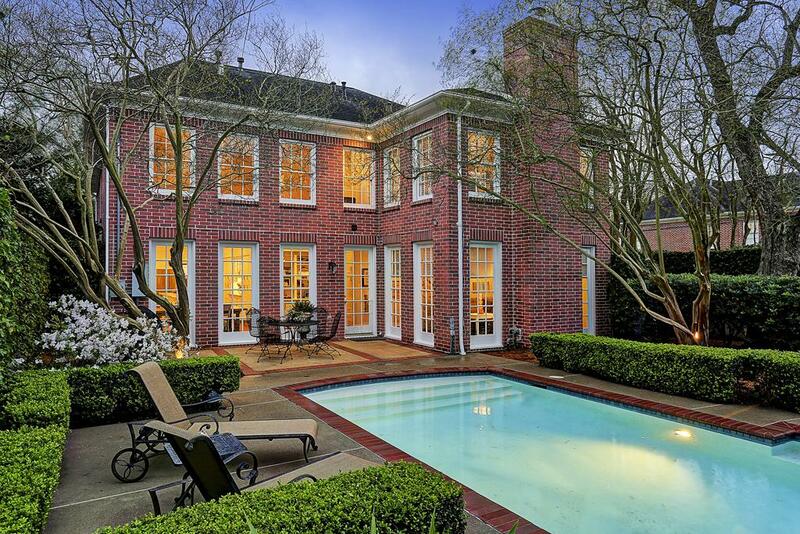 Formal living with floor to ceiling windows on two sides overlooking the front and side yard. 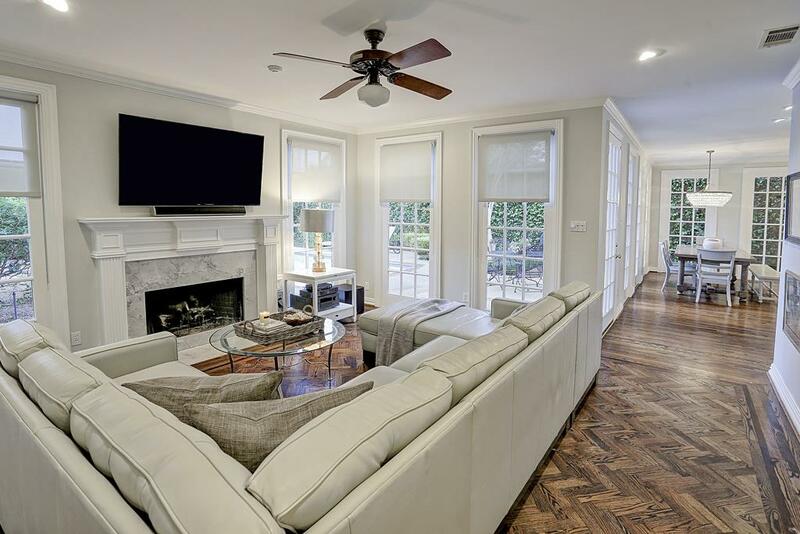 Has built in wet bar, herringbone patterned hardwoods, window coverings with molding. 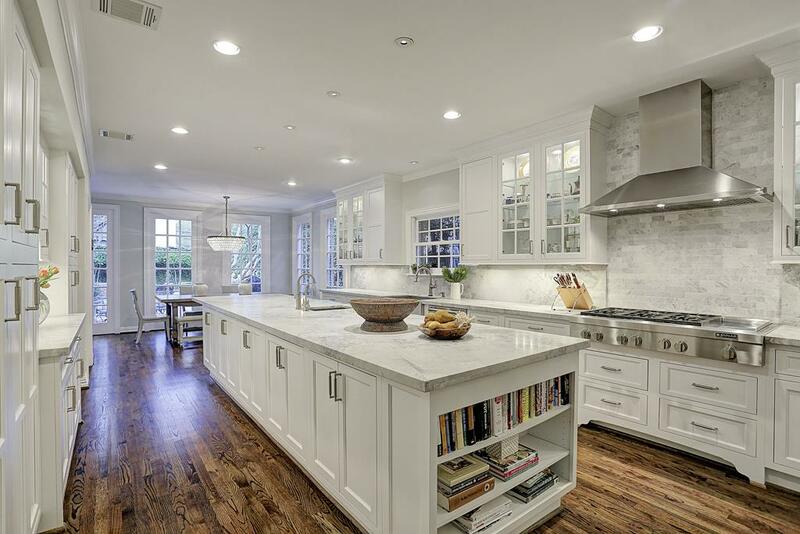 Look at this beautiful kitchen. 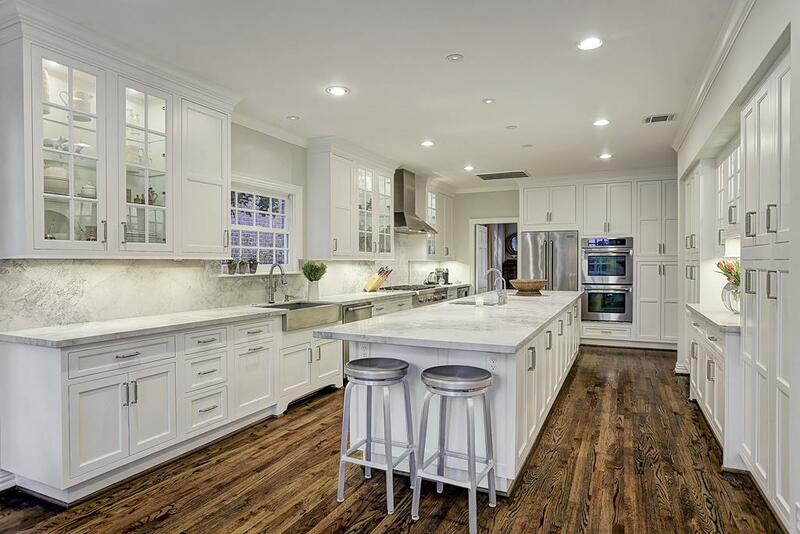 Quartzite counters and backslash, Built-in storage and Jenn-Air appliances.15 ft. quartzite island. Farmhouse sink, convection double oven, 6 burner cooktop, wine fridge, recessed lighting. 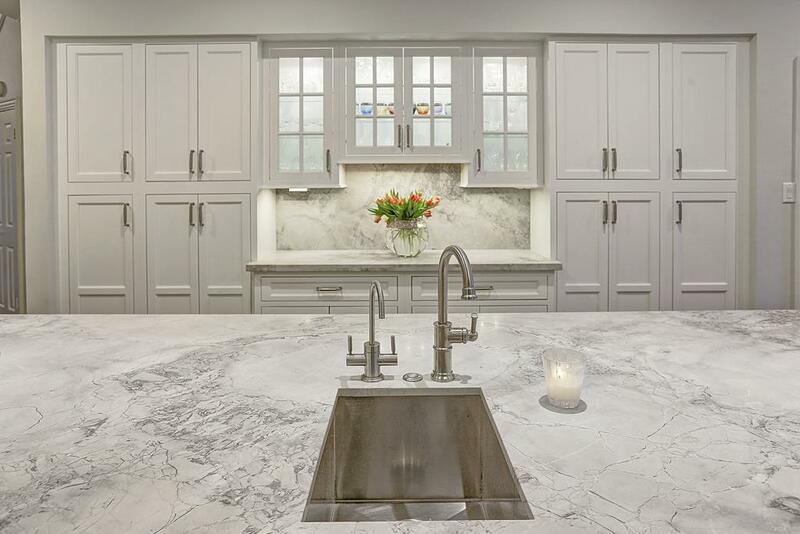 Starmark handcrafted wood and glass cabinetry. Second sink with Everpure faucet including sparkling water dispenser. Breakfast area with crystal chandelier and views out to the outdoor paradise with private pool. Family room located off of breakfast area. Fireplace with white quartzite surround and hearth. 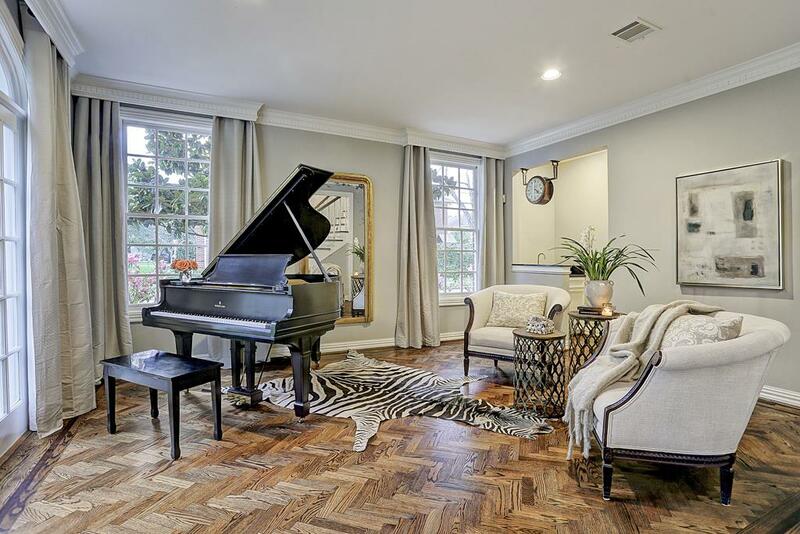 Herringbone wood floor. 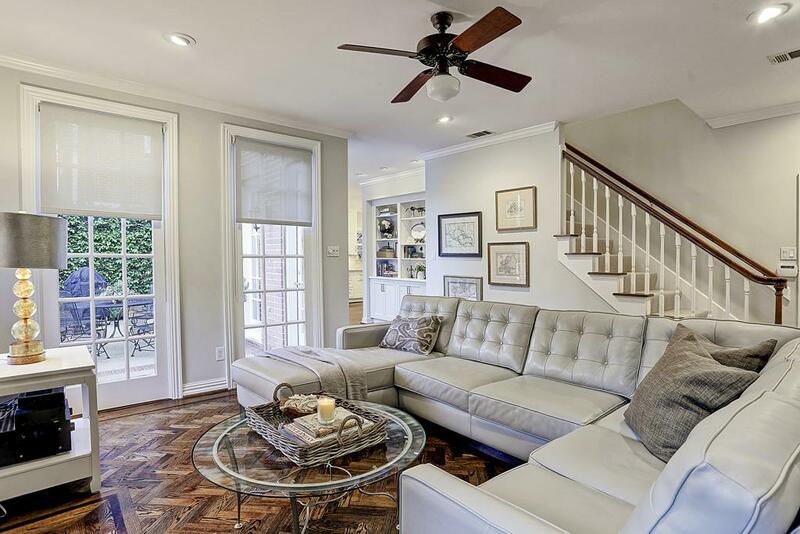 The most comfortable yet still beautiful space for lots of together time in this family room. Second set of stairs from side entrance of house. Custom built bookcase with built-in file cabinet, enclosed and concealed storage. 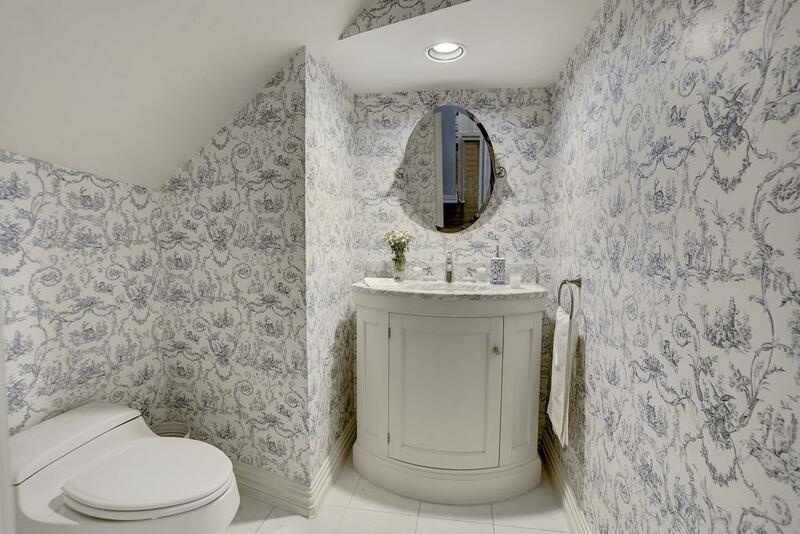 Powder bath under stairs with marble vanity with good storage. 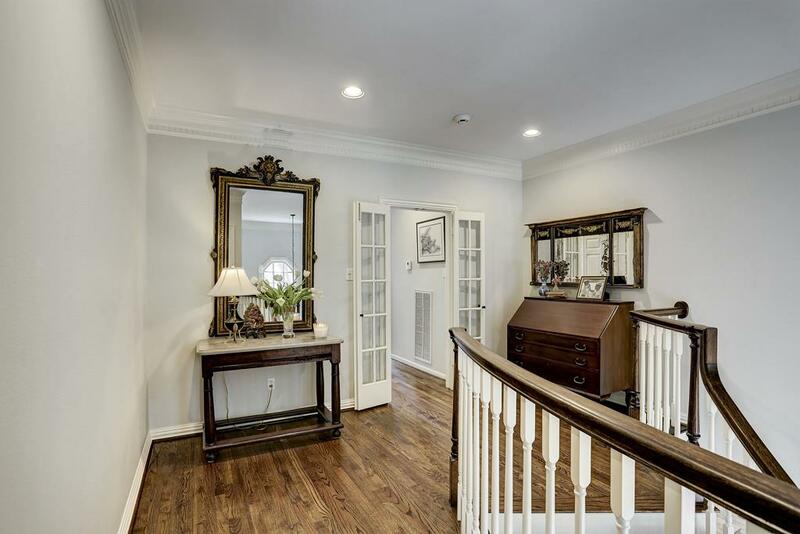 Inviting entry with open gallery hallway. Formal dinging room to the right and formal living room to the left. Second floor landing has space for a table, bookshelves. 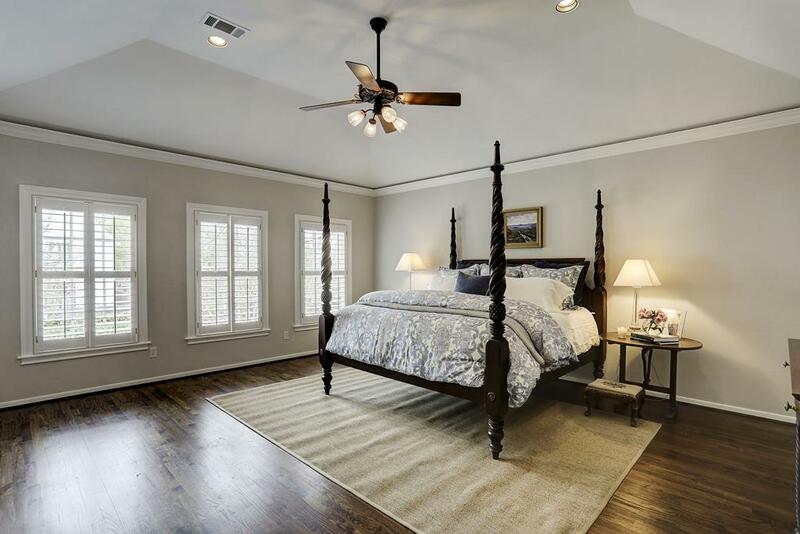 Master bedroom (17 x 19): Has multiple windows with custom shutters, hardwood flooring, ceiling fan, and recessed lighting. ThermoMasseur soaking tub with heated backrest. 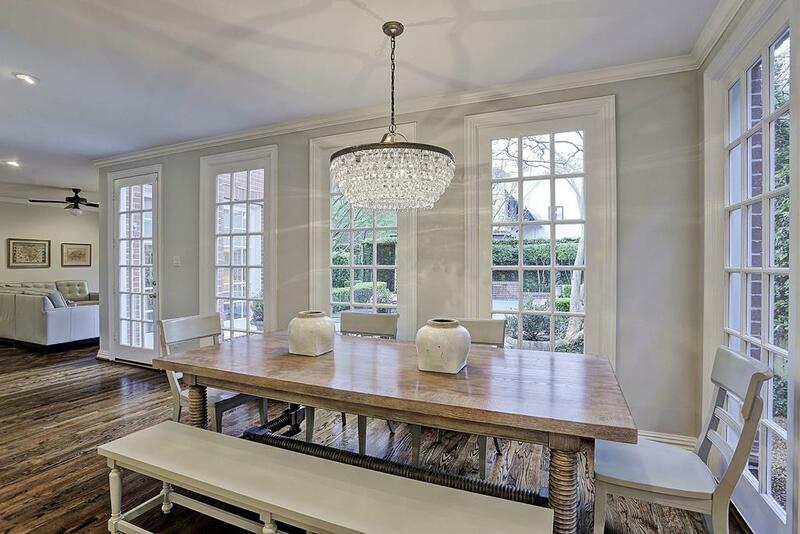 Large windows providing tons of natural lighting. Private water closet. 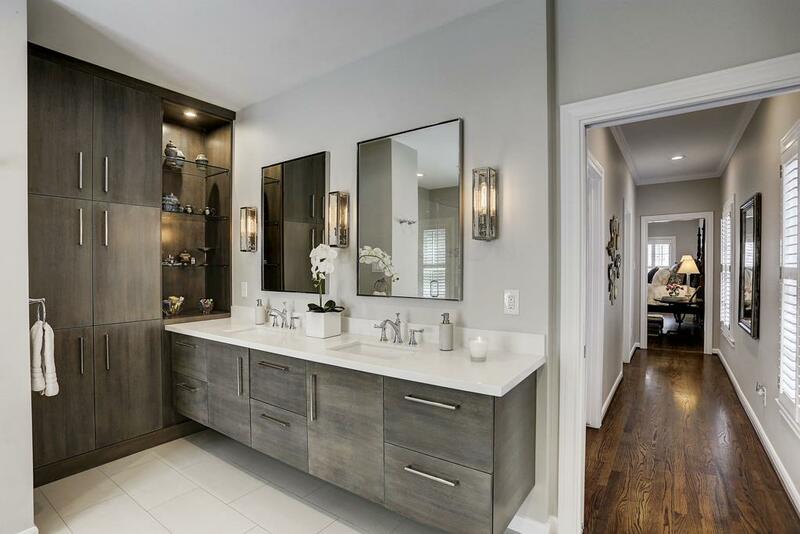 Master Bath-Large double floating vanities. 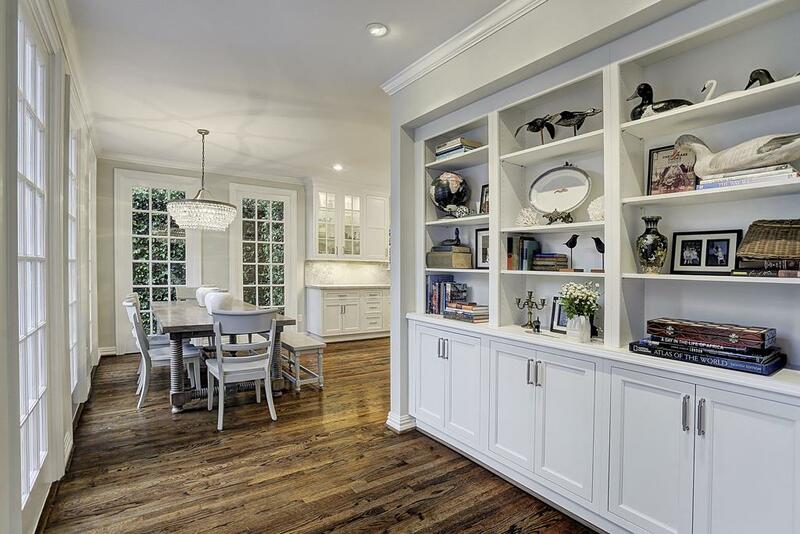 Excellent amount of drawers and cabinets, quartzite countertops, Restoration Hardware fixtures. Marble flooring. One of two master closets with built-In dressers, multiple layers for hanging clothes. 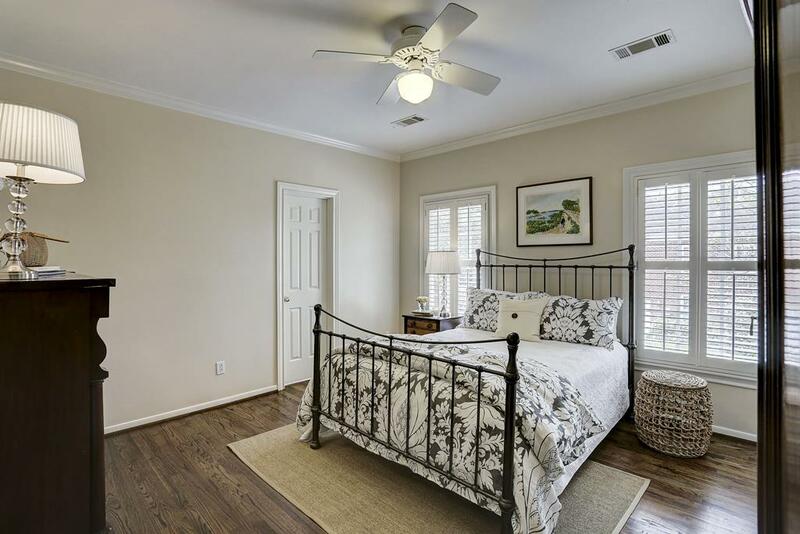 Second bedroom (14 x 14): Hardwood floors, ceiling fan, walk in closet, two walls of windows with shutters. 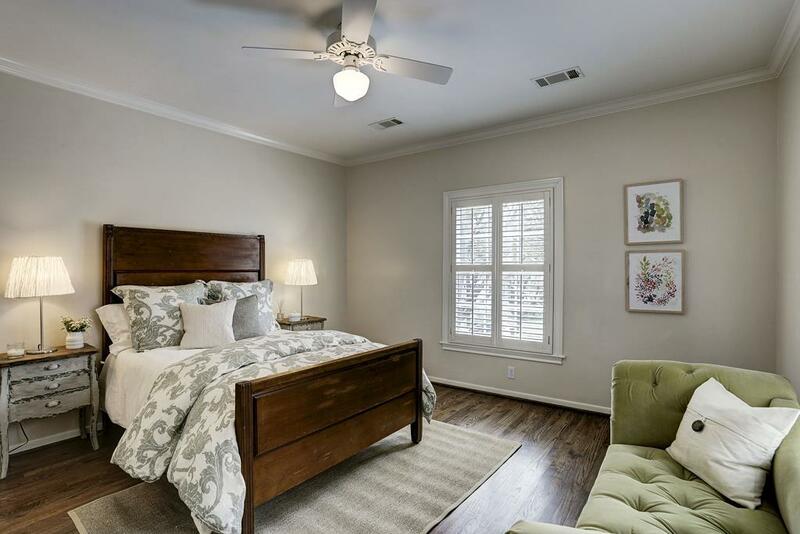 Third bedroom (13x14): Built-in bookcase for added storage, hardwood floors, ceiling fan, and walk in closet. Fourth bedroom (16x15): Can be bedroom or office with a built in bookcase covering an entire wall. 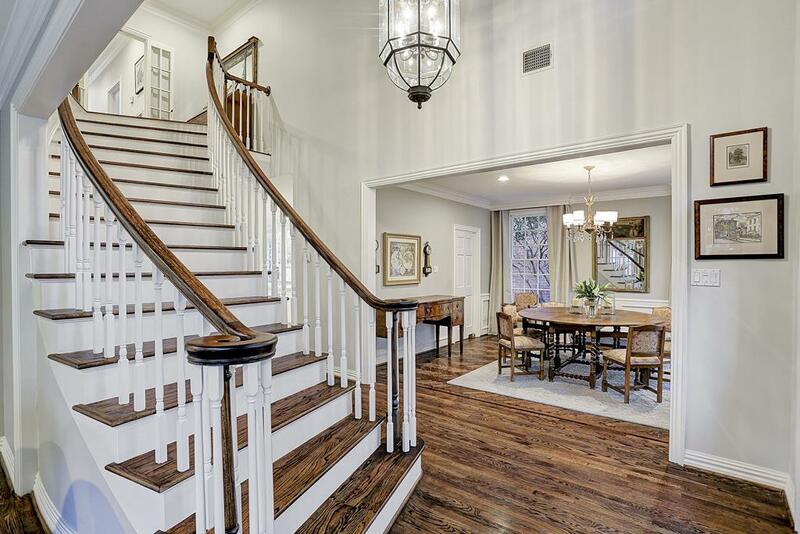 Hardwood floors, ceiling fan, and recessed lighting. 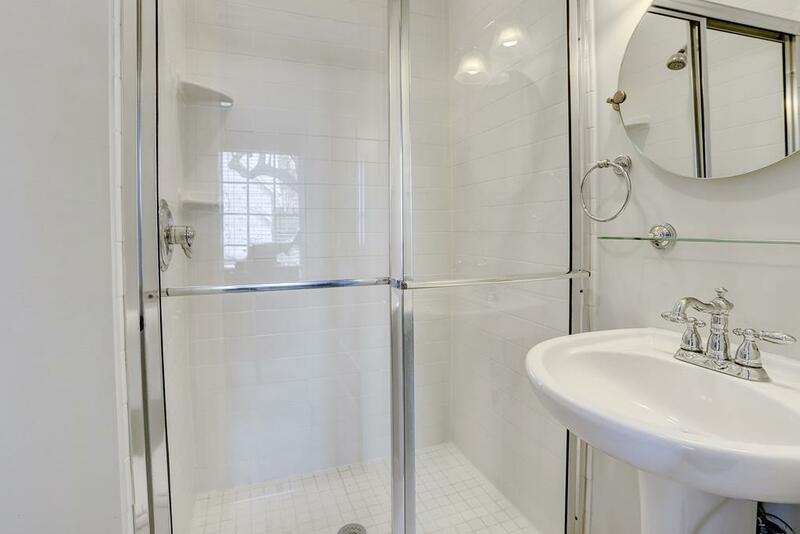 Private en suite bathroom for bedroom four with shower. 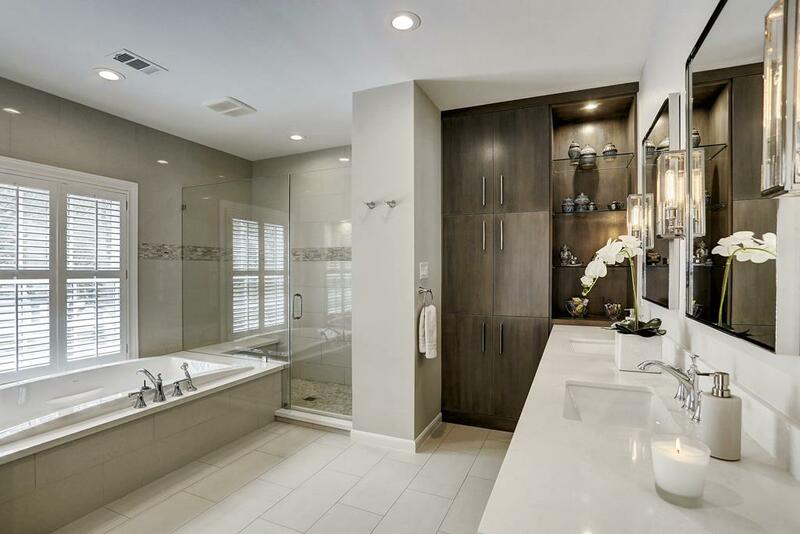 Enjoy this relaxing escape - well planned and designed space. 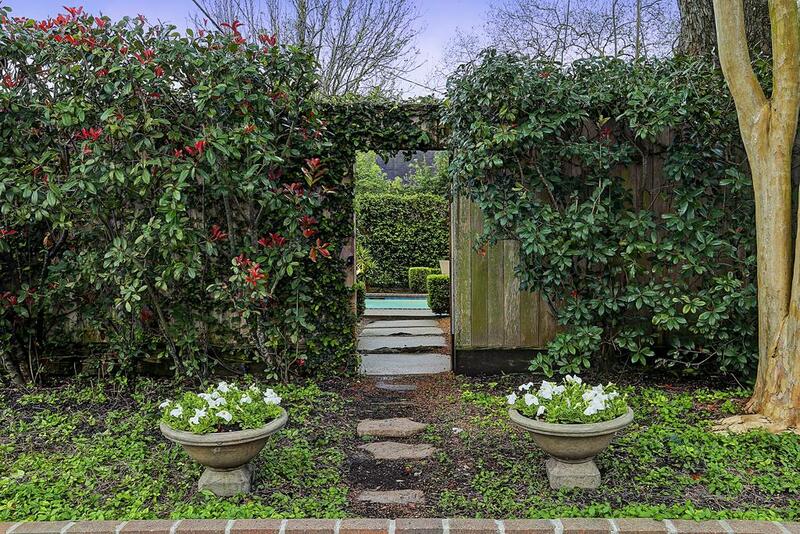 Fully fenced backyard with pool surrounded by boxwoods, cherry laurels, fig ivy. Gate leads to private entry from the side entrance - Academy St. Walk to pool, park, school, coffee, and shopping. Start your furniture planning. 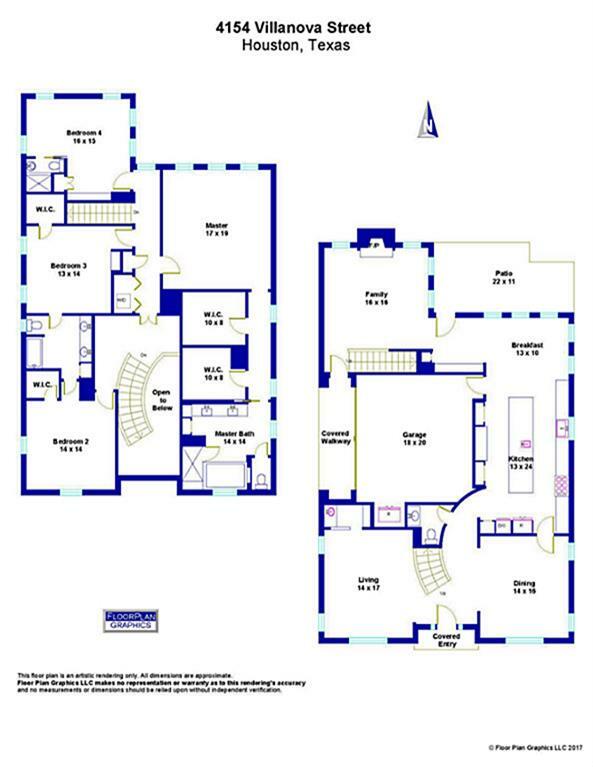 Floorplan for 4154 Villanova.